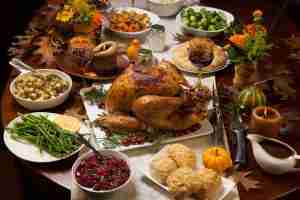 Thanksgiving can be a celebratory day to gather with family and feast on all of the delectable foods of the holiday. After this gluttonous celebration, you can then slump into semi- consciousness and watch endless rounds of football games. Or, you can shift your attitude and behavior and redefine what Thanksgiving means to you. What would it feel like to give thanks for all of the gifts that saturate your life and begin to think of ways that you can help others less fortunate than you? Mahatma Gandhi once said, “The best way to find yourself is to lose yourself in the service of others.”Countless studies have found that giving to others benefits young and old physically and psychologically. The benefits of giving are significant. Studies report that individuals that are givers tend to have lower blood pressure, lower risk of dementia, less anxiety and depression, reduced cardiovascular risk, and overall greater happiness. Biologically, giving can create a “warm glow,” activating regions in the brain associated with pleasure, connection with other people and trust. There is evidence that, during gift-giving behaviors, humans secrete “feel good” chemicals in our brains, such as serotonin (a mood-mediating chemical), dopamine (a feel-good chemical) and oxytocin (a compassion and bonding chemical). When you begin living life in this manner you’ll experience an inner shift that impacts the quality of your life. Instead of existing, you’ll be awakened to living a much fuller and richer life. Isn’t that what life is all about? As you celebrate Thanksgiving, make a commitment to live in a more giving state. Adopting this way of being will create a ripple effect within our world. Hate, corruption, greed, and violence will begin to dissipate. Become a difference maker!